Held at the Hyatt Regency Chicago on the River Walk, VIP guests were treated to an intimate reception and meet and greet with Mayor Booker. Afterwards time was set aside for networking and mingling as people were seated. Sharon Jones, President and co-Founder of Fundwell and BWLA Past President (2004-2005) welcomed guests followed by BWLA President Ngozi C. Okorafor, who acknowledged notable attendees including: Former Illinois State Senator and Senior Pastor/Founder of Salem Baptist Church of Chicago James T. and Jamell Meeks, Justice of the Illinois Appellate Court Joy V. Cunningham, Cook County Board President Toni Preckwinkle and Illinois State Senator Kwame Raoul and wife. A highlight of the program included a video montage of Mayor Booker’s fight, ascent and governance as mayor of Newark, New Jersey that featured his service and dedication: protesting violence by going on a hunger strike, saving a woman from a burning building, living on food stamps and opening his home to neighbors who were left without water or power in the wake of Hurricane Sandy. With a rousing applause, Hon. 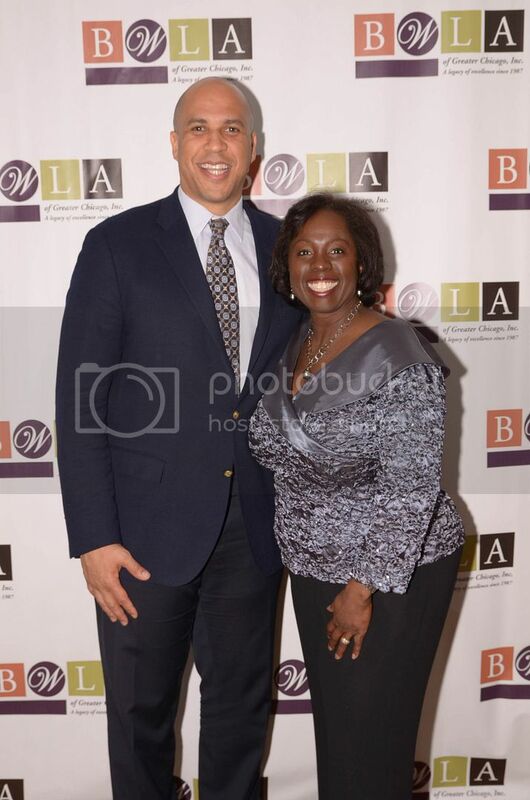 Patricia Brown Holmes and Mayor Booker ascended the stage to start an inspirational conversation: How to Promote Leadership and Advocacy in the 21st Century. 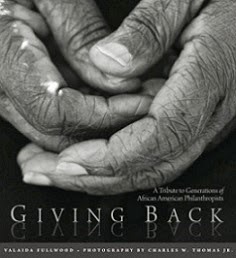 The motivating discussion focused on love being the solution to problems in the black community and the world. “We are all here because of love…the basic law of thermodynamics is that energy cannot be destroyed. There are solutions to all the problems of our society’s woes, we just have to look for them,” Booker explained. Ebba Gebisa, BWLA Scholarship Fund Board Member then took the stage to present the 2013 BWLA Law Student Scholarships: Crystal Martin ($5,000), Mandy Chan ($2,500), Esperance Kamuabo ($1,500) and Raymond Rushing ($1,000). With great reverence, BWLA Board Members Mary Melchor and Erin Cannon recognized and celebrated Lifetime BWLA Members. To conclude the presentations, Lisa Scruggs, Partner at Jenner & Block, LPP, courteously thanked all the speakers, BWLA and audience members. The evening ended with more networking and guests taking photos with Mayor Booker. 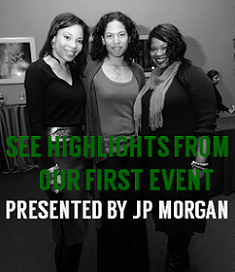 Generous support and sponsorship for the event was provided by Jenner & Block LLP, Kirkland & Ellis, Sidley Austin LLP, Seyfarth Shaw LLP, United Airlines, Allstate, Exelon, MillerCoors, Polsinelli Shughart P.C. and Winston & Strawn LLP. 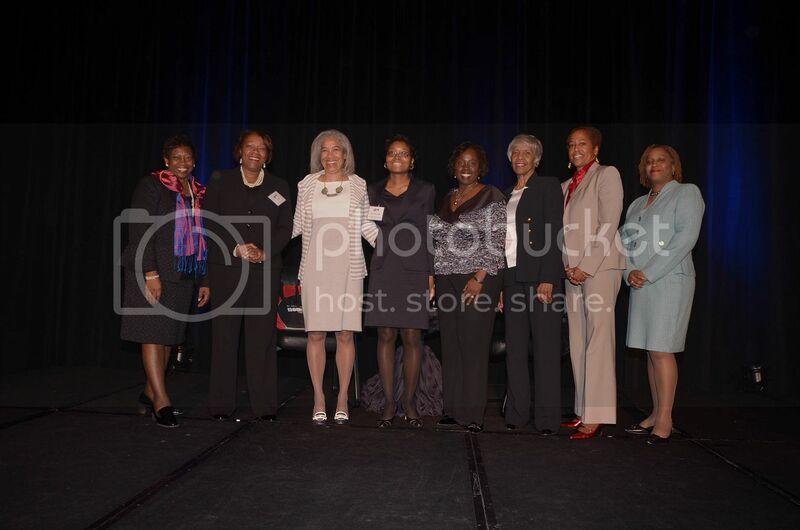 About Black Women Lawyers’ Association of Greater Chicago, Inc. 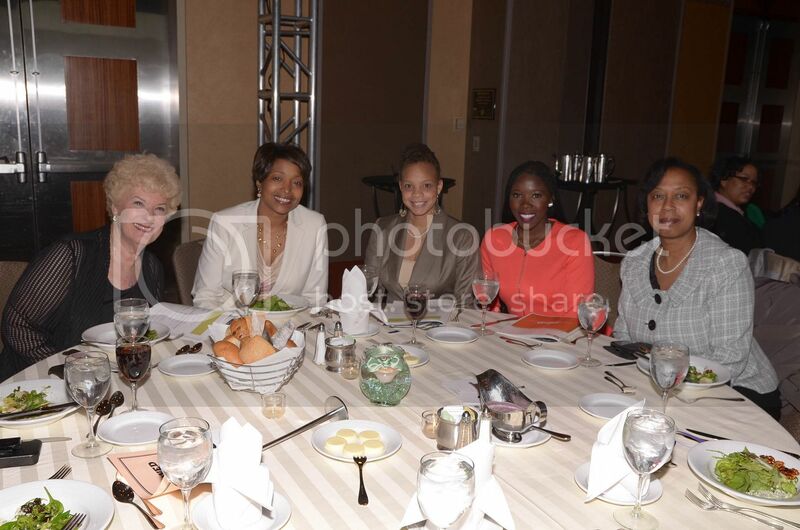 Founded in 1987, the Black Women Lawyers’ Association of Greater Chicago, Inc. (“BWLA”) is one of the fastest growing bar associations in Illinois. BWLA represents the interests of African-American female attorneys, judges, law professors and law students in the Chicago metropolitan area and across the Midwest. 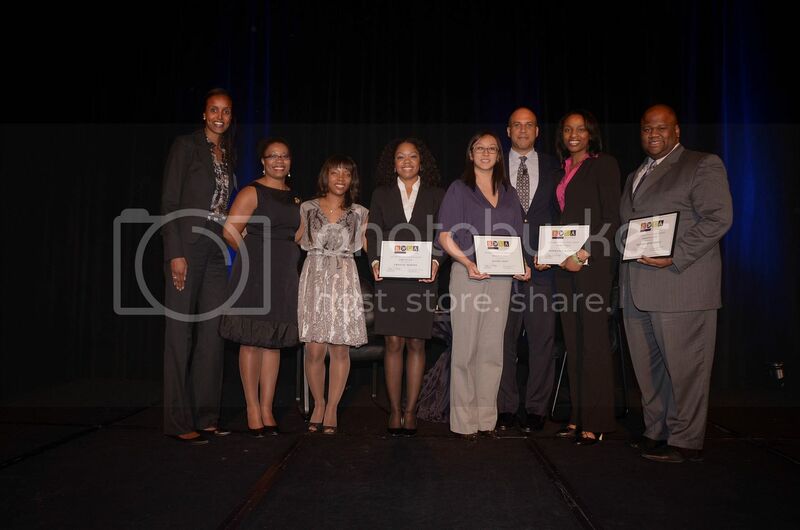 BWLA is committed to serving its membership, the greater legal community and the general public through educational programs, mentoring/networking opportunities, community outreach, scholarship awards to law students and various educational pipeline programs and initiatives. For more information, please visit: http://www.bwla.org/. Sandra is a Purpose-Driven Marketing Communications/Branding Strategist and Writer, who connects people, events, nonprofits, and companies with complementary brands and social causes that share their missions and target markets in order to amplify each entities social impact. Ms. Davis is the Creative Director of Lioness Communications and a member of the Chicago Ideas Week Cooperative. On Twitter, follow @Sandraloves.